Giving your guests a keepsake gift from your big day is a great way to help them remember your wedding. Gone are the day of sugared almonds, with gift ideas becoming more creative and wacky each year. 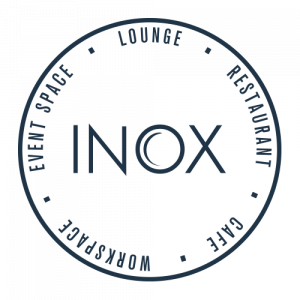 Here are few great ideas that you could give to your guests at your Yorkshire wedding from our experts here at Inox Dine. With Rowntree’s in York and the famous Bassett’s factory in Sheffield, Yorkshire has a wealth of sweet treats to choose from. But you can’t beat the traditional Yorkshire mixture boiled sweets. Pop them in a cute little jar with individual name tags and you’ve got the perfect gift to double up as a table placement. For a low cost option that is in keeping with the Yorkshire wedding theme get creative with Yorkshire Tea. You could display loose leaf tea in a tube or cork topped bottle for a ‘vintage look’. Whilst personalised gifts served in a Yorkshire tea tin could make a quirky table decoration. Sheffield weddings wouldn’t be complete without mentioning our famous Henderson’s Relish. Why not give your guests a personalised bottle to remind them of your big day. It might also come in handy for the main course which will be created by our award winning chef Joe Berry. What better keepsake of a Yorkshire wedding reception than the white rose? Offer flowers to the girls for something simple. Alternatively, you can really go to town with a white rose broach for the ladies and cufflinks for the men. A classy keepsake gift that guests can take with them and wear time and time again.